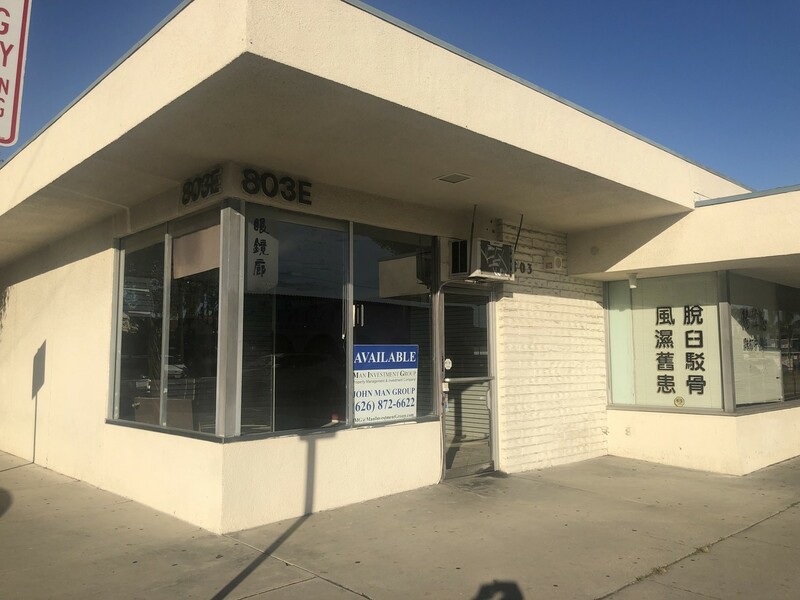 Prime location on a busy corner in Monterey Park. Office/Retail space for lease. Space is zoned for commercial services. Permitted uses include most retail and service related businesses. Great location for travel agency, medical office, animal services, beauty salon, hobby store, general and specialty retail. See our Loopnet post for more info.